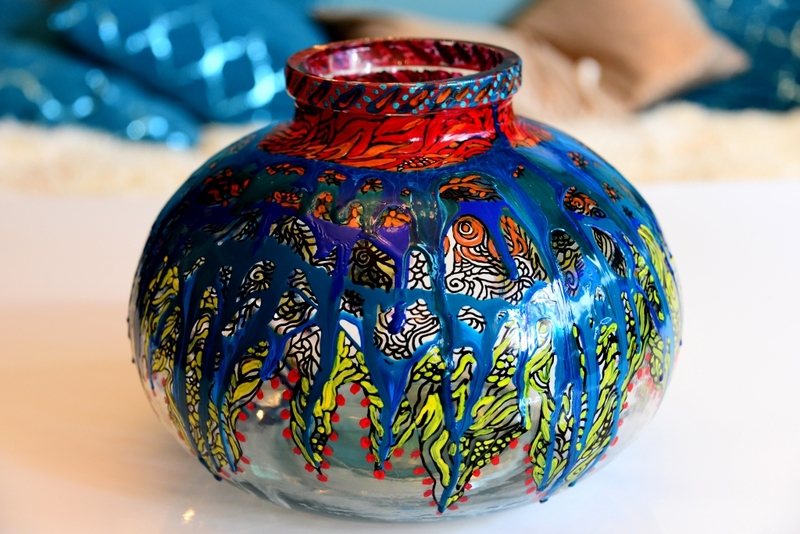 This workshop focuses on using glass paint to create beautiful designs on a glass surface. This is a perfect workshop for anyone interested in learning how to create personalized gifts for their loved ones or want to explore centuries old technique of painting on glass. You will have an opportunity to learn the techniques of glass painting from one of Washington DC’s highly recognized artist’s whose work has been published nationally and internationally in magazines and showcased in art galleries in Washington, DC and New York. VisArts will provide a variety of surfaces from which to choose.